The March 2015 Transition Network newsletter Is this email not displaying correctly? This month we have more on our conference and roadshows. A round up of the last theme ‘The Power to Convene’ and our new theme Social Change and the Arts. A call out to help us tell the Transition Story, The Transition Health Check to help uyou reflect on how your Transition initiative is doing. In Thinking Aloud we face the puzzle of who gets left with the unburnable carbon. Plus our Agony Aunt, book reviews and events coming up. 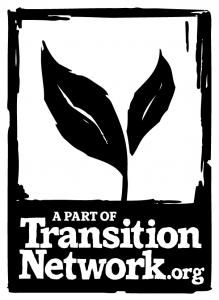 We are delighted to announce that after a couple of years with no Transition Network conference, it’s back, and it’s going to be a remarkable couple of days. It will take place at the wonderful Seale Hayne, close to Totnes in Devon, where we held the 2010 conference. This year’s conference will be a celebration of the truly international thing that Transition has become. Either side of it we are currently designing fringe events, trainings, tours and other things so you can make the most of your time. Tickets will go on sale in April. The Conference is very much coming off the back of the International Permaculture Convergence that is occurring in Essex and which finishes just days before our own event. Around 150 delegates are expected to descend on Devon direct from the IPC as part of a tour organised by Transition Town Totnes which in turn leads into our conference. With so many International guests in the country anyway, and the National Hubs Gathering also planned to occur around this time in the UK, it seems appropriate that this year’s conference will really focus in on the unfolding Global Story of Transition. For now though, we would love to hear from you a sense of the workshops you’d like to see on offer there and how you may contribute, particularly as part of the Friday Fringe events. We are looking to offer day-longs Transition Skills workshops over this day and welcome offers for this. Please send your ideas toinfo@transitionnetwork.org. There will be great food, there will be music and dancing, there will be a deep, rich, rejuvenating, reconnecting occasion where you’ll meet Transition folks from all over and have a chance to learn from one another. Keep an eye on the website for details, but for now, pop that date in your diary. We can’t wait! The theme for January February was ‘The Power to Convene’. You can read the editorial that set out why we felt it to be an important theme here, and our ‘Transitioners’ Digest’ of the month’s content here. Our new theme celebrates the publication at the end of March of Lucy Neal’s new book ‘Playing for Time’. The theme opens with an interview with Lucy, and with Rob Hopkins’ framing of the theme, and will feature interviews with many different artists, most of whom appear in Lucy’s book. If you have thoughts on articles or things you’d like to see, do get in touch. Our month on Social Change and the Arts could be subtitled « Why the Arts need Transition, and why Transition needs the Arts ». Over the next 2 months we will be exploring the relationship between Transition (and other approaches to social change) and the arts, speaking to some of the contributors to Lucy Neal’s brilliant and remarkable new book ‘Playing for Time: making art as if the world mattered’ (published early April) and hearing about some inspirational projects and artists. Lucy’s new book « Playing for Time: Making Art as if the World Mattered » is just about to be published in April gathers up stories with over 60 people giving voice to a narrative of change through the artwork they’re making. In this interview she talks about the inspiration behind the book and the alchemy that arises from an imaginary world. Transition Network is collecting examples of when Transition is framed in ways that work, or in ways that don’t. And we need your help. If you could spare just a few minutes to share your thoughts we’d be deeply grateful. The second in a series of how-to blogs about the process of starting a Transition Enterprise. Mark Simmonds takes us through developing an idea, testing a business model and producing useful initial materials such as a feasibility study and marketing plan. Marissa Mommaerts of Transition USA and co-author of “Weaving the Community Resilience and New Economy Movement: Voices and Reflections from the Field” brings together background, insight and extracts from this fascinating report which gathers ideas and learning from across the USA. Who gets left with the unburnable carbon? A report whose stark call to leave the substantial majority of fossil fuels in the ground by research associate in energy materials modelling at the UCL Institute for Sustainable Resources Christophe McGlade generated a lot of media coverage in recent weeks. In this interview he talks about the disconnect and the inconsistencies between current policy makers’ positions. Mike Thomas was at the Zero Carbon Powys conference and heard about the latest Zero Carbon Britain report, how framing climate change is really important and what a Zero Carbon Powys could look like. Initiating Groups that can’t agree on anything. On this sad occasion, we pause to celebrate a shining beacon of our collective emergent culture. ‘Tiny Homes’ by Lloyd Kahn. How different would the world be if instead of expecting young families to try to survive in the private rented sector, they were instead offered the skills and training needed to house themselves? The first new book about Transition not written in English is a landmark moment worth celebrating. Guía del movimiento de transición is the work of Spanish Transition activist and trainer Juan del Rio. We will be speaking to him soon about the book, what it covers and what his hopes are for it, but for now Rob Hopkins shares the Foreword he wrote which looks at why Transition matters, and why this book matters. Launch online (English) begins again in May. Details to follow. See the link below for trainings and events on the UK and abroad. Economics for Transition is about creating an economic system fit for the ecological, social, economic and spiritual challenges of the 21st century as we make the great transition to low carbon, high well-being and resilient economies. May 1st 2015 is the closing date for applicants wishing to commence the programme in September 2015. Applied permaculture in South Devon, featuring Transition Town Totnes, Agroforestry Research Trust, Landmatters Permaculture Community and lots more! How’s your Transition initiative doing? The Transition Health Check is a great tool, a simple activity that offers a powerful tool to reflect on what’s working and what’s missing. Over the next few weeks on the website we’ll hear from groups who’ve done it, but for now, here’s the Health Check itself. This newsletter is published on the first Friday of each month. Copyright © 2015 Transition Network, All rights reserved.